There are many things that, when they take over our lives, take away our ability to hope. One of these things is anger. Anger is an ugly, burning emotion that destroys hope, and it can truly warp a person until he or she has completely forgotten how amazing life can be. Today's Book of Hope celebrates the way in which forgiveness can triumph over hate, and as the story unfolds we are able to see how this shift makes it possible for hope to grow and blossom. Groovy Robinson's father has been arrested and taken to jail. This is terrible and devastating thing to happen, but what makes it even worse is the fact that Groovy's mother was the one who had him arrested. Feeling shocked and betrayed, Groovy cannot understand why her mother would do such a thing, and she feels as if her whole life has been turned upside down. Some years ago the mother of Frankie, Groovy's friend, abandoned him. Frankie refuses to forgive his mother and has become very bitter as a result. Not wanting to become like Frankie, because she can see how damaging his anger is, Groovy tries very hard to stay positive, even though she does not understand why her father stole from her. She starts working on raising money by making chocolate covered strawberries, which she sells. However, despite her good intentions, when the depth of Groovy's father's betrayal is revealed, Groovy's anger takes over. Now she is in real danger of turning into a bitter person, just like Frankie. 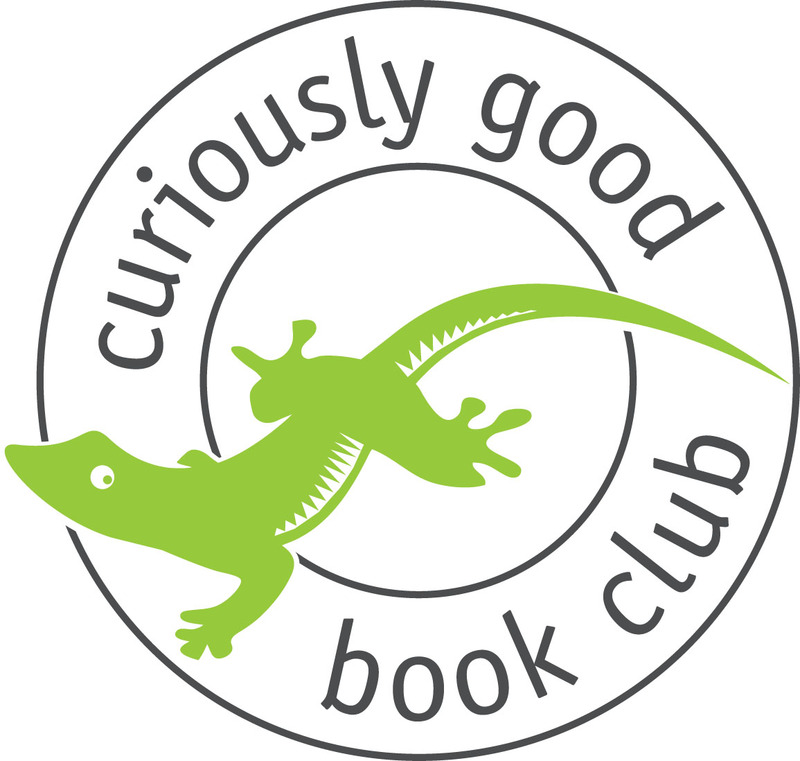 Gecko Press, the pint-sized Wellington-based independent publisher of curiously good children’s books, is starting a new club with the aim that every child discovers the love of reading. “We want reading to be seen as fun, accessible, visible and important – and so we are starting the Curiously Good Book Club,” says Publisher Julia Marshall. “The club will be a place where people can talk about the books they love to share with kids, find out about books, access real and online events, share knowledge and experience – all designed to get kids' noses into books,” she says. The Curiously Good Book Club will include activities for kids, physical events and an online platform. It aims to be a digital and real life community for people who love children’s books, where they can share knowledge about great books (not just Gecko Press books) and find creative ways to encourage children to love to read. It will cost at least $50,000 to get the club off the ground. Gecko Press is investing $15,000 for the next phase and crowdfunding the remaining $35,000 by offering tangible rewards. “Most of this money will go to improving the digital experience and backbone of the club, so we can offer fun things like events, reading incentives – such as tiny reading journals and stickers – and ways to share knowledge of great books,” says Marshall. Gecko Press is offering surprise packs of books and regular book parcels that can be sent directly to a favourite school, library or child. There are some big-ticket options for enthusiastic supporters, who can choose a mix of books, discounts, signed books and book donations to a school or library of choice. Gecko Press is an independent, international publisher, based in Wellington. Gecko Press publishes a small number of edgy yet proven – curiously good – children’s books from the best writers and illustrators in the world, translated into English. We want to make reading accessible and visible. Our aim is that every child discovers the love of reading. 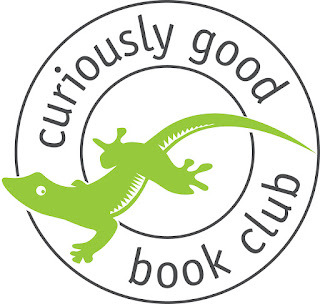 For more information about the Curiously Good Book Club or the Gecko Press PledgeMe campaign, visit pldg.me/gecko or contact Faustine Tillard faustine@geckopress.com – 04 801 9333. 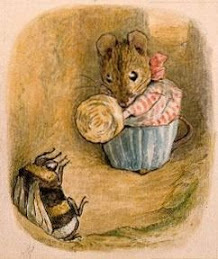 For many people a cup of tea offers comfort in times of stress and tribulation, and the making of a pot of tea gives others something to do at such times. People all over the world begin or end their day with a cup of tea, and in some places the making of tea is a ritual that is treasured. Today's picture book introduces us to a queen who decides that she needs to find someone who can make her the perfect cup of tea. In the process, she discovers something that brings about a big change in her life. Every morning the queen gets up and her maids dress her and do her hair. Her butler makes her tea, which she drinks alone. Over time the queen’s morning tea ceases to give her any joy or pleasure. In fact, with every passing day it tastes worse and worse until she decides that she simply cannot drink the tea any longer. She “must find the perfect cup of tea,” and soon enough the queen and her long-suffering butler, James, are floating across lands and seas in a hot-air balloon. The queen decides when they have gone far enough and James brings the hot-air balloon down. The queen then meets a little girl called Noriko who announces that the queen is just in time because her cats would like to be snuggled. The queen instructs James to tell Noriko that she does not snuggle anything. Most people would back down at this point, but Noriko does not. She feels that this is the perfect time for the queen to try snuggling. Before the queen quite knows what is what she is snuggling, and being snuggled, by Noriko’s cat. The queen finds the whole experience “rather strenuous,” and she asks Noriko if she might have some tea. Noriko is happy to make some tea, though she expects the queen to help, which the monarch, who has never even made the effort to help in the tea making process, manages to do. Noriko makes the tea, using the methods favored in her native land of Japan, and then the little girl and the queen partake of their refreshment, talking all the while. The queen then says her goodbyes and she and James sail off in their balloon. Though Noriko’s tea was delicious, it was not the perfect cup of tea and so the quest must continue. All too often, when something is not quite right we blame something or someone else for the problem. We never consider that maybe, just maybe, the problem lies with us. In this delightful picture book we meet a cold, rather stuck up queen who takes a journey and discovers that sometimes what we are looking for is right under our noses. What is charming about this book is that in addition to the engaging story we also get to learn about the tea traditions in three countries. At the back of the book the author also offers us an author’s note in which she tells us about tea, and about the journey that she took as she wrote this book. Sometimes being different from everyone else is just plain miserable. For some reason other people like to make fun of those of us who are smaller, bigger, and smarter. They like to pick on people who they feel are more imaginative, more emotional, and more original than is 'normal.' In today's picture book you will meet a lion who is really small and who is teased because of his diminutive size. We also meet an animal who finds a way to give the lion just what he needs to feel better about himself. That night the little lion sat on a hill and looked up at the moon, which was so far above his head. What would it be like to touch the moon, he wondered? One thing that he was sure of was that touching the moon was not something he would ever be able to do. A raven saw how sad the little lion was and asked him what was the matter. The little lion explain that he was sad because he wanted to be big, big enough to touch the moon. If he could do such a thing the other animals wouldn’t laugh at him anymore. Was there a way to make the lion’s wish come true? 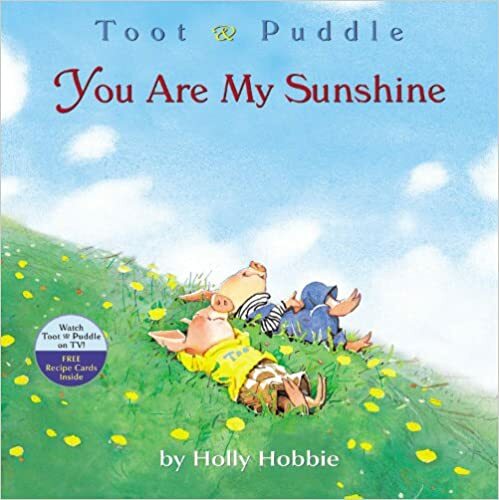 This charming little story introduces young children to the idea that anything is impossible, if you believe in yourself and use your creativity to find a solution to your problem. Children will be delighted when they see how the raven helps the lion. Perhaps they too can touch the moon if they want to.